05/23/14 – CYBERTRON vs STIMULATE: Aesthetic Perfection, The Panic Lift + Surgyn live! 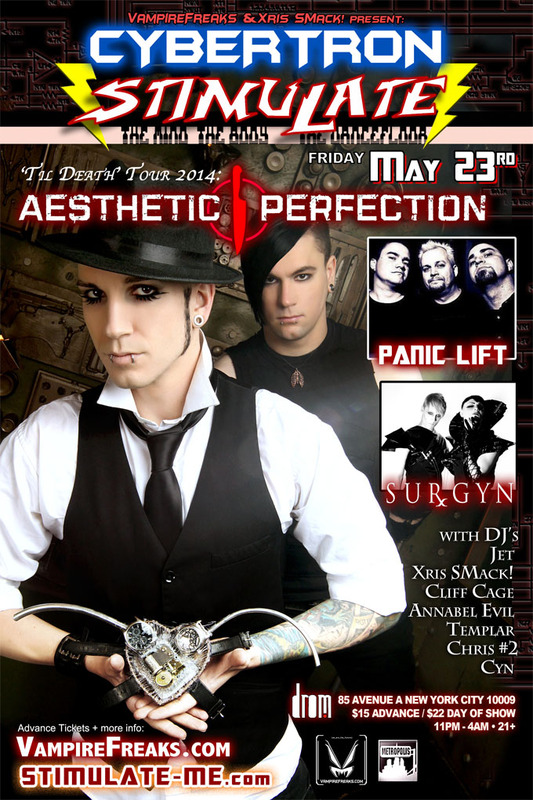 CYBERTRON vs STIMULATE: Aesthetic Perfection, The Panic Lift + Surgyn live! another unholy uniting of forces between CYBERTRON and STIMULATE! :Aesthetic Perfection, Cybertron, DJ Jet, STIMULATE, Vampire Freaks, Xris SMack!